Home \ Articles \ Drakensang Online: Better Than Diablo III? Drakensang Online: Better Than Diablo III? As many of you know, Diablo III is a hit game for MMO fans. However, many of you don’t know that Drakensang Online battles the features of Diablo III. Drakensang is a 3D browser MMORPG, and one of the best of its age. In fact, It has many more features than Diablo III. 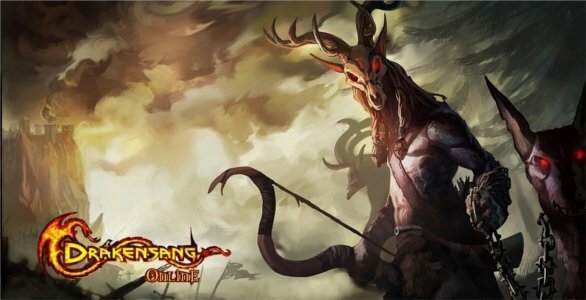 Drakensang offers instant action, pvp mode, weekly content updates, frequent community events, and is a hack-n-slash MMO that has thousands of players. Diablo III only offers detailed realistic environments with amazing skill effects and only has a player base of about 40,000. Drakensang has a player base of a little over 5,000,000 now. Drakensang unique features that separate it from the rest of browser MMORPGs are its stunning graphics. For a browser MMO, Drakensang has lush 3D graphics. Also, since there are weekly updates and frequent community events, this game always has people constantly playing, so you will never get bored. The game does lack in some features. Drakensang only offers two classes, spellweaver and dragon hunter, and the quests have lots of grinding for leveling up. The Game play can get repetitive a bit, but every game has some point when you just feel you are doing the same thing. The game has fair character customization, and the skills that your character can learn are endless. Now, I know Diablo III is a much higher quality game, but when you look at the facts, Drakensang Online is a good quality MMO with good graphics that you don’t have to download. And its FREE! Seems better than spending your allowance on Diablo III. Drakensang definitely tops my list for browser MMOs. It knocks out Diablo III, Runescape, Serenia Fantasy, and even challenges WoW in my book. (World of Warcraft is still one of the most popular games on the PC, and I have nothing against it I love it) As usual, you can probably find me in the game fighting monsters and leveling up, just look for Elderlypizza! Try this game out and tell me if you think the game gives Diablo III a run for its money!